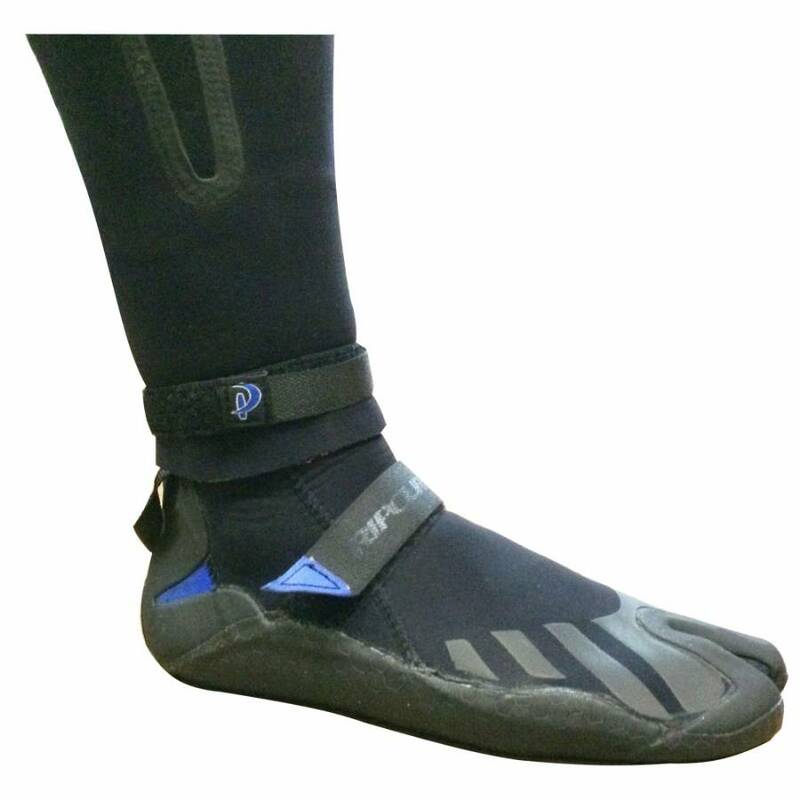 The PKS Wetsuit Ankle Cuff Straps prevent water shooting up your wetsuit and filling up the legs with water. 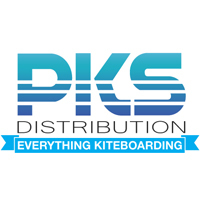 No one likes to ride with water-balloon cankles from excessive up-spray, but many suits don't come with ankle cuffs because the suits are not made specifically for kiteboarding or quality ankle cuffs are not easy to find for sale. PKS solves both of these problems by making ankle cuffs easy to find, affordable to buy, and universal in application with any wetsuit. 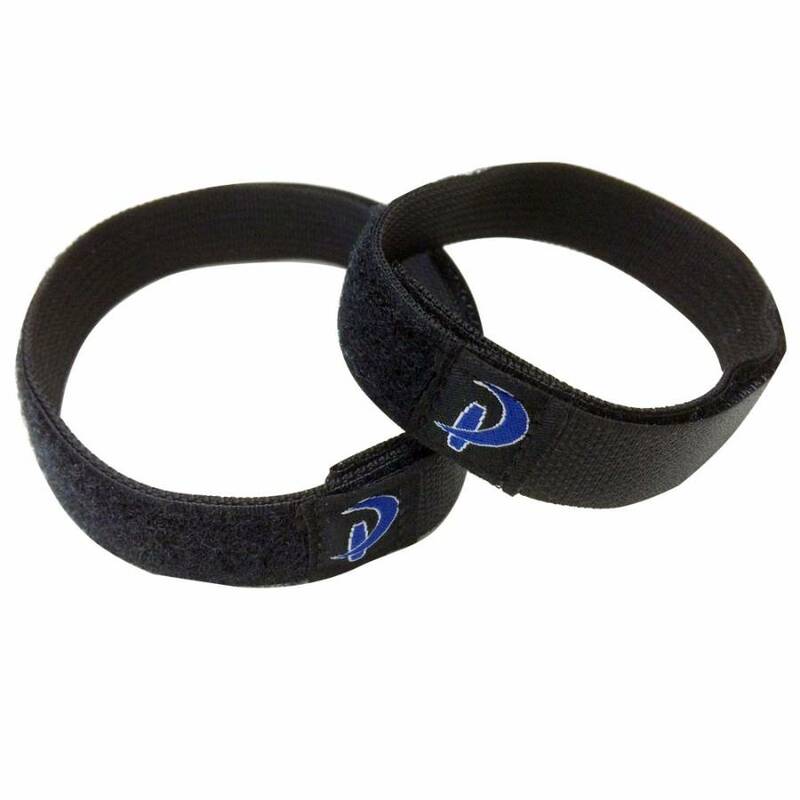 The 3/4" webbing with Velcro overlay makes the straps light-weight yet strong and they're designed with rounded tips on the top Velcro strap to keep water spray from flipping up the edge. These are quick and easy to adjust from 2" - 4" in diameter and so should fit any rider with any thickness of wetsuit. Best of all, these work on any wetsuit with full legs, old or new. Helpful Hint: For additional drainage, you can use a 1/8" leather punch to poke a hole right above where the straps are on your ankle. This hole will allow water to drain out of your suit when you get water in from the neck seal.